Joan Duncan is an inspiration, pure and true. She had a simple, ambitious dream: start a company where any Jamaican could walk in off the street, take a few hundred dollars from their pocket, and invest it. When they did, they would be greeted by staff who believed in respect and love. 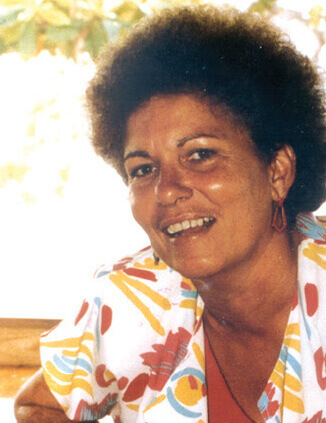 In 1992, Joan Duncan virtually created the local money market with the inception of Jamaica Money Market Brokers Ltd. Within no time, her company became Jamaica’s biggest money market trader. Joan was not the cookie-cutter image of the female corporate executive. Once, she was a struggling single mother with five mouths to feed. It was her will to make a difference that guided her to do great things. She built her way up from a humble credit officer to create the institution responsible for the development of the secondary market in debt securities in Jamaica. When Joan Duncan died at the age of 58, her dream had realized a solid capital base of $190 million and boasted four branches with over 20,000 accounts. Her uncompromising will and strong intellect helped her build JMMBTT, but the true success stemmed from her profound spirituality and love. To this day, we carry those values forward, with her eldest daughter, Donna, serving at the helm. Though Joan Duncan has ended her journey now, in Donna’s words, it was “Mission Accomplished”. Dr. Lyon believed in the potential of Jamaica. As one of JMMB's founders, he made it his mission to encourage financial independence and entrepreneurship across the nation. Eager to return home, he began in the private sector, working as Resident Manager of Kaiser Development Corporation, while also lecturing part-time in the Department of Management Studies, at the University of the West Indies, Mona. In 1972, he left Kaiser to join the Bank of Jamaica (BOJ). There, he served as assistant to the then Governor G. Arthur Brown. His expertise in agricultural economics served him well when he was seconded by the BOJ to the Frome Monymusk Land Company, in the capacity of Managing Director, with overall responsibility for sugarcane production on the company’s 100,000-acre farms. In 1980, he assumed the role of Visiting Professor of Economics, at the University of North Carolina, U.S.A., for one year. He then returned home to establish the National Development Bank of Jamaica (NDBJ). During his 10-year stint, he acted as Managing Director, he experienced the profound effect financial institutions played in nation-building, providing loans to medium and large-scale enterprises. 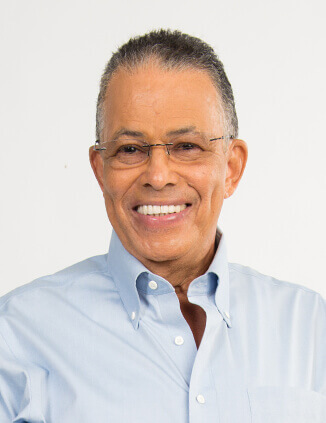 In 1991, Dr. Lyon left the NDBJ to take up the post of Managing Director of the Jamaica Venture Fund Limited. The entity’s role was to provide equity and/or quasi-equity investments in medium and large businesses in Jamaica. In 2002, he co-founded Jamaica Money Market Brokers Limited (JMMB) alongside the late Mrs. Joan Duncan. Their vision was to start a financial institution that would make investing in the money market accessible to the average Jamaican. To do this, they set the minimum needed to open an account at only J$1,000. JMMB quickly grew into one of Jamaica’s notable success stories, expanding its services to Trinidad & Tobago and the Dominican Republic.